Welcome To Our Barrowford Showroom! After more than a year in development and a £300,000 renovation, on the 2nd of January we opened the doors to our brand new showroom in the beautiful village of Barrowford. This past weekend, we marked the opening with an official launch party, and with a range of amazing new designs on display, we ended up with quite the turnout! 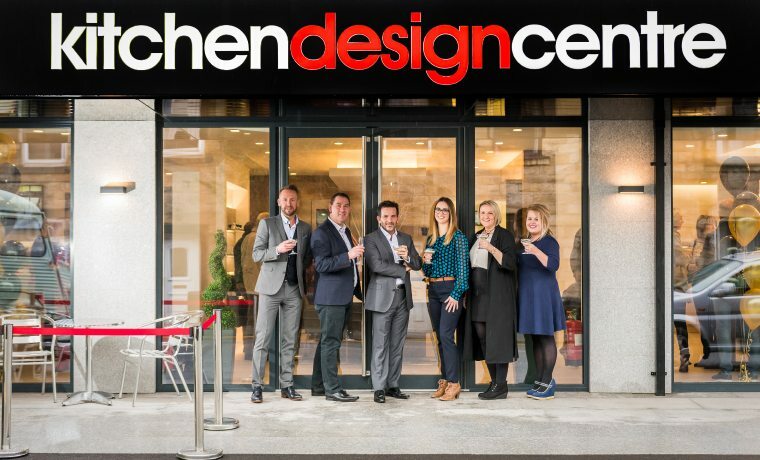 This past weekend, on Saturday the 20th, invited guests, suppliers and staff celebrated the official opening of this exciting new showroom with an all-day party that included Neff cooking demonstrations, design talks and the unveiling of six stunning new displays. The cooking demonstrations were delivered by famed home economist and food stylist, Ann Reynolds, who started by introducing her audience to a selection of wonderful dishes, before getting started on the easiest and most efficient ways to prepare them to perfection. We’re very lucky to have her! Don’t Hesitate To Pay Us A Visit! As part of our ongoing expansion plans, our Barrowford showroom will act as our new flagship showroom, taking the helm from our previous site in Colne. You can find our new 3000-square feet showroom occupies the ground floor of the former Plunketts building on Gladstone Terrace, along Barrowford’s main high street. Why not stop by and see what all the fuss is about? ← How Can Your Kitchen Help You Keep Your New Year’s Resolution?